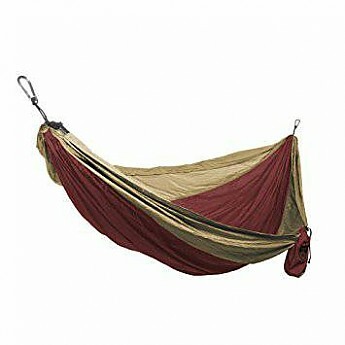 Selling a Grand Trunk Double Parachute Nylon Hammock. Color is Crimson/Khaki. Comes with carabiners but no suspension/straps. Ratchet straps or 5mm rope works great. I've attached the link to the model.